DrawPile is a sketching oriented drawing program that allows multiple people to share the same drawing board over the Internet. It works on Linux, Windows, Mac OS X and FreeBSD. 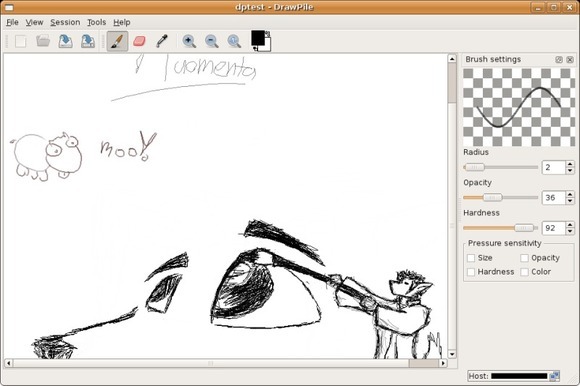 DrawPile is available in Getdeb repository for Ubuntu 13.10, Ubuntu 13.04, Ubuntu 12.04, Ubuntu 12.10, Ubuntu 10.04 and Linux Mint.